This rare expression of Napa Valley winemaking is one of only 60 bottles that will ever be made. Think of it as a bit of Napa Valley history in your cellar and celebrated in a glass with friends and family. Your Premiere Napa Valley wine is sourced entirely from three of Andy Beckstoffer’s most exclusive and sought after vineyard sites. This unique selection from Napa Valley’s iconic grower brings together fruit from the valley floor in Oakville and Rutherford. Grapes from To Kalon, Missouri Hopper and Georges III vineyards showcase the robust yet balanced nature of these world-class vineyard sites. With a planned barrel aging of 28 months in new French oak barrels, this wine will cellar wonderfully for years to come. 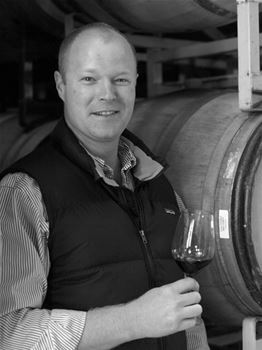 Kirk is the son of Nils Venge, a legendary Napa Valley winemaker whose wines consistently score above 90 points in Robert Parker's Wine Advocate and other prestigious wine journals. His deep family roots in viticulture and his passion for the industry that ensued led him to be named one of the top twenty young winemakers in the world by Food & Wine magazine. Kirk's heritage, love for winemaking, and unparallel paternal tutelage have all provided him with a foundation bound for success in the wine industry. Education: Kirk earned his degree in viticulture and enology at the prestigious University of California, Davis, graduating in 1998. During his college years he was eager to begin hands-on winemaking experience and with the help of Hugh Davies of the Schramsberg Winery family, found a harvest intern position as an experimental winemaker at Mumm Cuvee Napa Valley. Working under the guidance of celebrated wine guru Greg Fowler over five harvests, Kirk participated in a variety of viticulture and winemaking research trials, many focusing on Carneros Appellation Chardonnay and Pinot Noir production, in addition to Mumm sparkling wine. Superior vineyards, site, soil, and vines are the foundation for great wine, shaping the destiny of the winemaker. A lifelong passion and respect for the natural world inspires Kirk to cultivate premium wine grapes with the ambition to produce world-class wines.